Carte-de-visites, small albumen prints on hard card, were extraordinarily popular during the 1850s. Relatively inexpensive to produce, they were made in many parts of the world, enthusiastically acquired, easy to post, and commonly stored in albums. 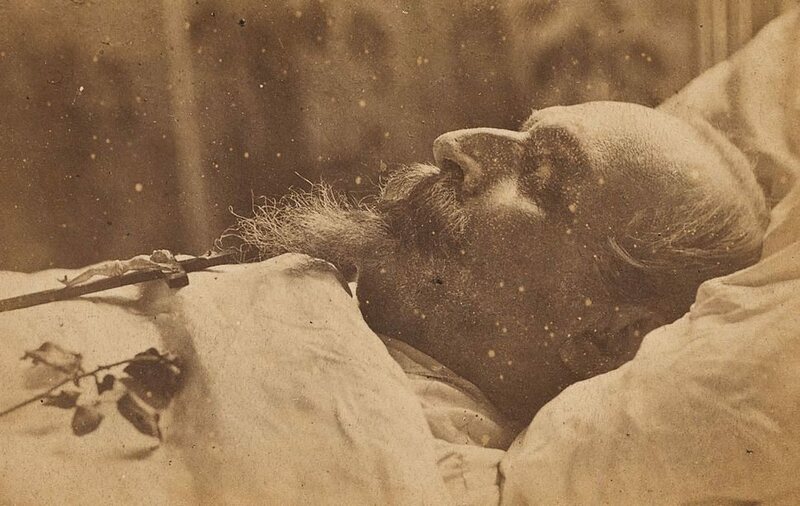 During the 19th century it was also common to photograph the deceased as a form of memorial. Used as keepsakes, cards such as this enabled families to distribute images of a deceased loved one to distant relatives.